Sometimes you need to get lost in your own city to discover it! 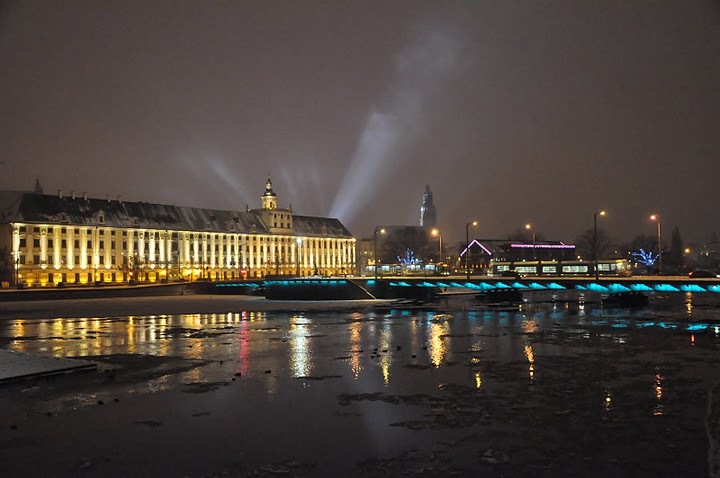 Wrocław offers many different attractions starting from clubs, pubs for the party animals, restaurants, each one with specific atmosphere and nice local cuisine. Apart from that there are many tourists attractions that everybody will truly appreciate while walking around. There are many places not famous among tourists and even locals don’t know about its existence and history (as they say: The grass is always greener on the other side). Have a look on the list below of famous and not so famous sites in Wroclaw. Have a great time while reading and rooming around. 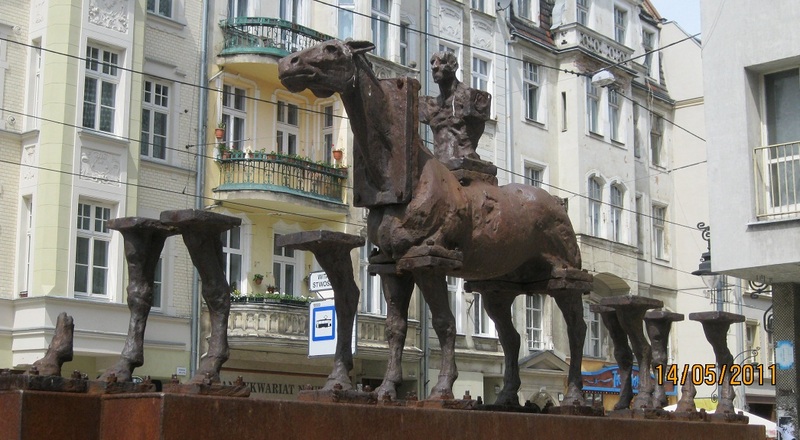 Do Wroclaw have a sculpture of a horse? Another incredible installation that you should not miss is the HORSE located on Szewska street. I have spotted it one day from the tram and next time I decided to jump out and have a closer look what is it all about. I really liked the idea and I guess you will find it interesting. As one of the author says: “Cause its a friend of people!” Apart from that in the past it was an often visitor on Szewska street. The sculpture does not present the real horse. It is a multi-elemnent composition of a horse with a rider’s torso and additional, few pair of legs. This is another example of the art presence in urban space that Wroclaw as a city is promoting and doing descent job. How can you find the Horse? 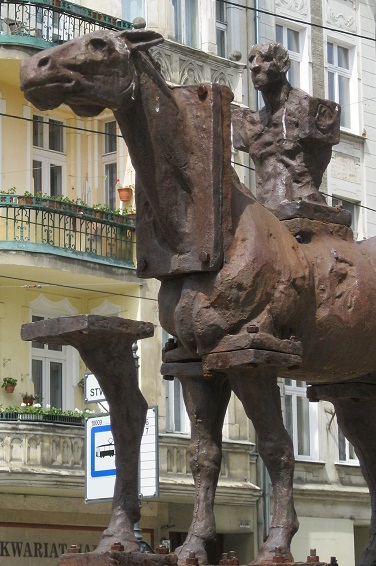 The horse is located on Szewska Street where it cross with Wita Stwosza. You can simply walk from Market Square. You can also spot it while passing with tram number 6 and 7, on your right hand side. St Elisabeth’s Church, a very interesting Gothic church, is located in one of the corners of the Market Square, in the center of the city. You can easily recognize and locate it by the high tower. The best time to visit it is April – May…when the sky is clear and blue and you can enjoy the view of the city of Wroclaw. 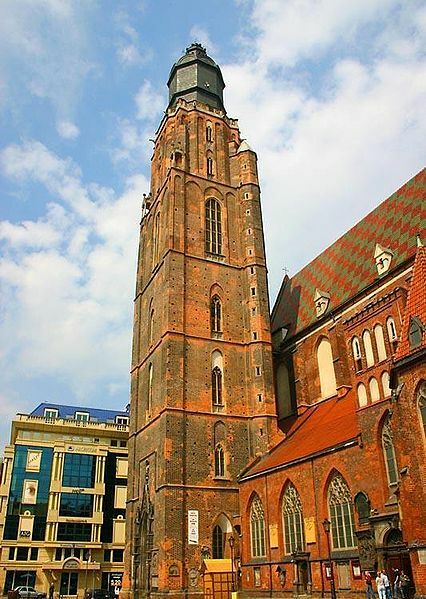 Initially, it was one of the tallest churches in Europe with 130 meters of height. Due to many damages, the tower of the church now is around 90 meters tall. You can climb the tower via small door, that can be found outside, for a small fee. Smokers can find it a little bit tiring:) However the view of the city its outstanding and worth giving some effort. The Old Town, Market Square, university buildings…as well as mountains in the south that can be seen with the clear sky – all these can be spotted while walking around an observation deck on the top. Besides that its worth spending some time inside of the church where you can find over 100 tombs of famous Poles, some Gothic artworks and interesting architecture. Many people walking along the high wall on Ślężna Street may not be even aware what is hidden behind. 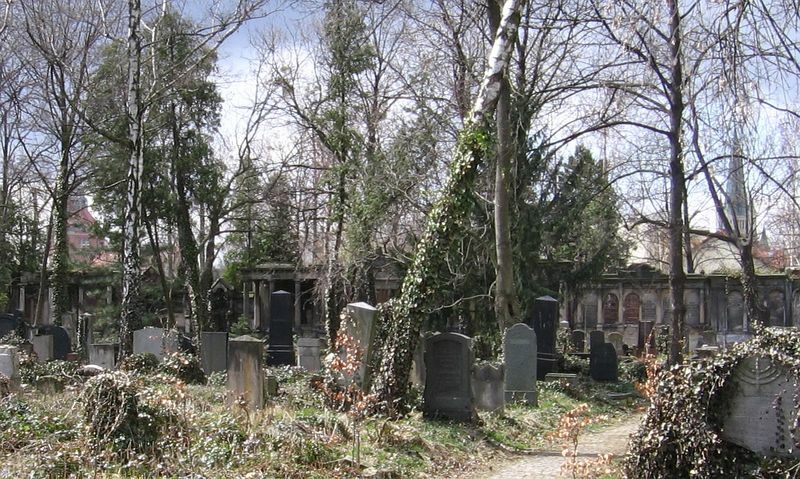 The Jewish Cemetery is one of the places must-see in Wroclaw. The graves of famous people. The history that goes with every of them. All this makes this place special and very interesting for every history fanatic. After crossing the gate you have the impression the time has stopped there. In fact it has. It does not exist there. Along with the guide book that you can pick at the entrance, you can walk around and get to know more about every single grave. The number of graves reaches 12.000 so the best is to dedicate some time, even few hours, to explore it all. What distinguish the Jewish cemetery from the others are sepulchral art, unusual ornamentation, beautiful architecture of tombstones and buildings as well as amazing decoration of graves. What can be surprising is the fact, that you can still experience Mauritanian and Egyptian style. People buried here had written a big part of history of Wroclaw. Bankers, businessmen, activist, artists, painters, scientists, all them in one place, making it unique and special. 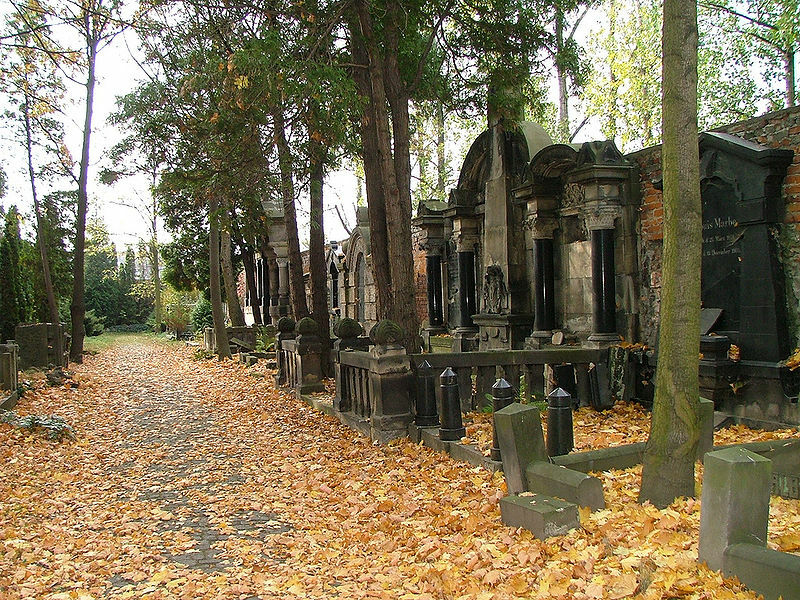 You can enter the cemetery every day from 10.00-18.00. The tickets are 7zl and 5zl (for students). The cemetery is located at Ślężna 37/39. You can reach there by walk (10 minutes from the bus station) or take a tram number 9 and got out on the stop “Uniwersytet Ekonomiczny”. “Train to Heaven” installation for sure will find interest of those who are into urban art. 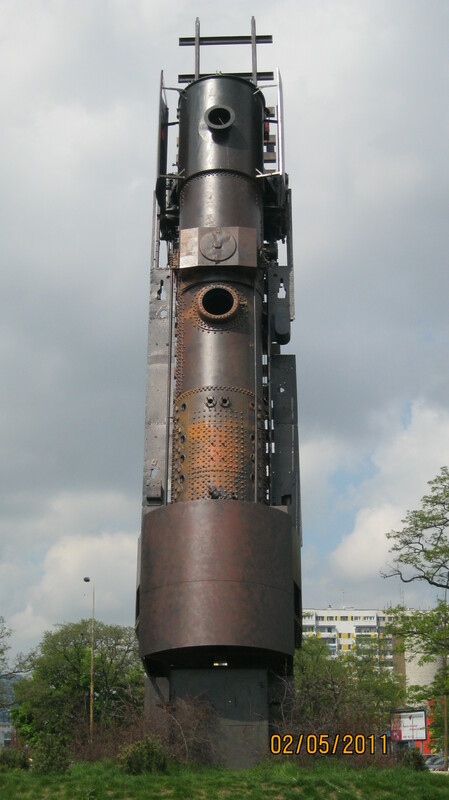 The sculpture is located on Strzegomski Square (Plac Strzegomski) and it shows real old steam locomotive. The installation was set up in spring 2010. It has aprox 30 meters height and has a weight of nearly 70 tons. The antique locomotive was bought from the museum in Jaworzyna Slaska. 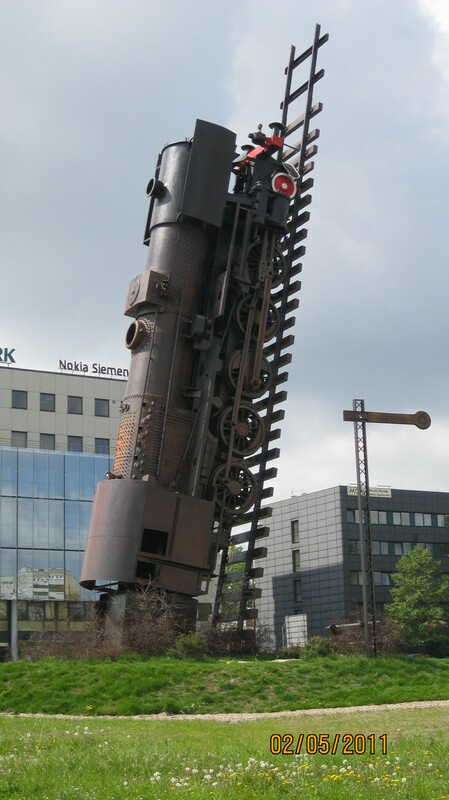 The locomotive is mounted vertically on a strong foundation. From the chimney there will be you can spot a drift of dry ice to give illusion of a real smoke. The whole sculpture is effectively illuminated so it is advisable to see it during at night as well. The concept of the installation refers to the rich tradition of the locomotive industry that grew rapidly in the area of Wroclaw. Artistic styling of locomotive and its history connects the past (area of old locomotive factory) to its future. For sure the “Train To Heaven” is building the next stop on artistic city map. “Train to Heaven” installation is located on Plac Strzegomski. You can either walk there from the center (it should take you no longer than 5-10 minutes of walk) or jump on the bus, take 2-3 stops and get out on Plac Strzegomski stop. You will easily spot it as it is placed in the center of the square. If you are tired after walking around the city, have a seat next to the lady. Another funny and interesting example of urban art in Wroclaw (by Anna and Ryszard Zmorskich). Two modern sculptures show two armchairs, one empty, the other one occupied by woman. Even it seems that the lady is definitely not interested in a person sitting next to her, the name of the composition is “Waiting” (pl. Oczekiwanie), which means that she is still waiting for somebody. You can find this modern sculpture in Słowacki Park, just in front of National Museum building. How to find the sculpture? 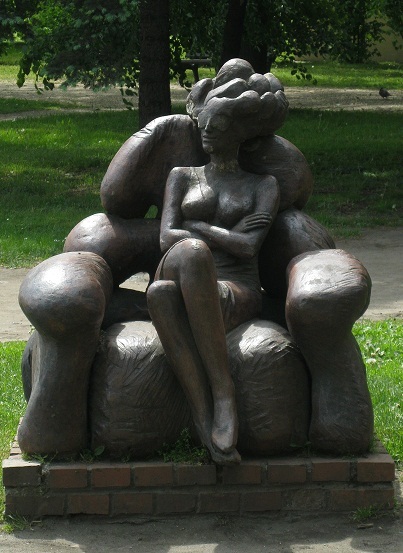 The sculpture is located in Slowacki Park, just in front of National Museum. 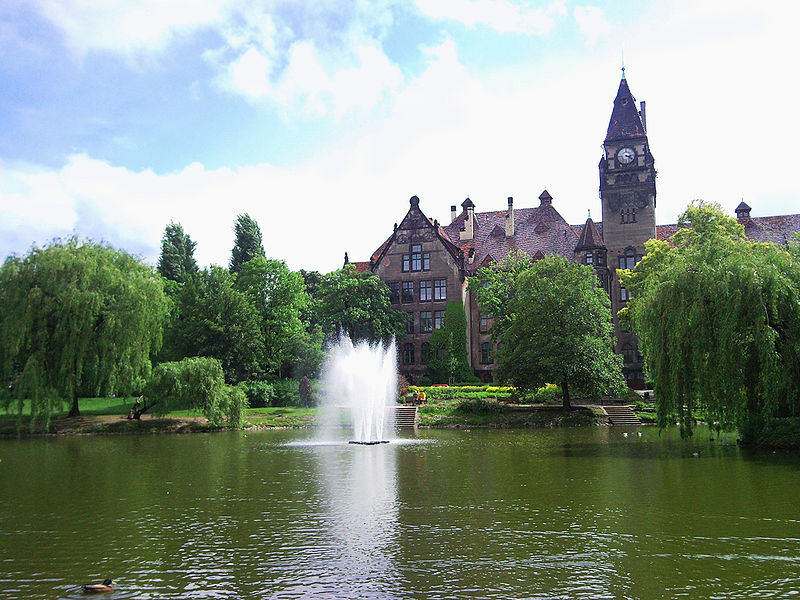 The park is located in between following streets: Slowackiego, Modrzewskiego, Purkyniego. You can reach there walking from the center as it will take you 5 to 10 minutes and on the way you can visit such a buildings like Architecture Museum, Panorama Raclawicka building and other interesting sculptures located in the park. This is definitely place worth visiting for its interior beauty ! Apart from the fact that you can rest and relax here. 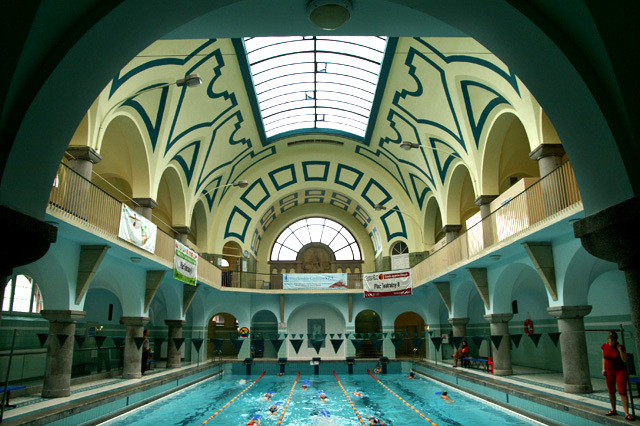 SPA Center in Wroclaw is situated in the very center of the town, so it can be found very easily. The services offered will satisfy everybody, starting from swimmers, as there are 3 swimming pools, as well as gym or fitness club fans, or steam room lovers with various treatment rooms. Besides that the offer contains therapeutic and rehabilitating massages. The most interesting part apart from the service offering is representative building look that many years ago was a Town Bath, built in 1895-97. Before the war, it has been one of the most luxurious buildings in the city. Clients could use the pool and swimming baths, steam baths, showers and massages. There were also small rooms that one could use the service of a hairdresser, visiting restaurant, cafe or read the book in the library. 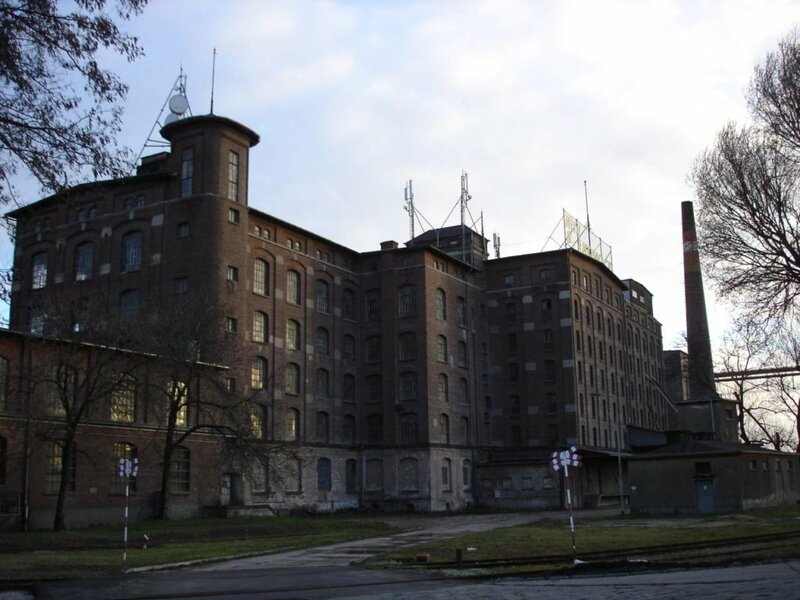 The complex is located on Teatralna 10-12 Street which is very close to the market square, as well as Opera Building. Hala Targowa located near the city center is a very unique and interesting place to shop. It was built in 1906 to organize the trade in the city center. Since it was not destroyed during the Second World War, and straight after the war was reopen for trade again which is taking place till now. Preserved to this day the idea of exhibition hall attracts all those interested in urban architecture, stalls as well as shopping itself. 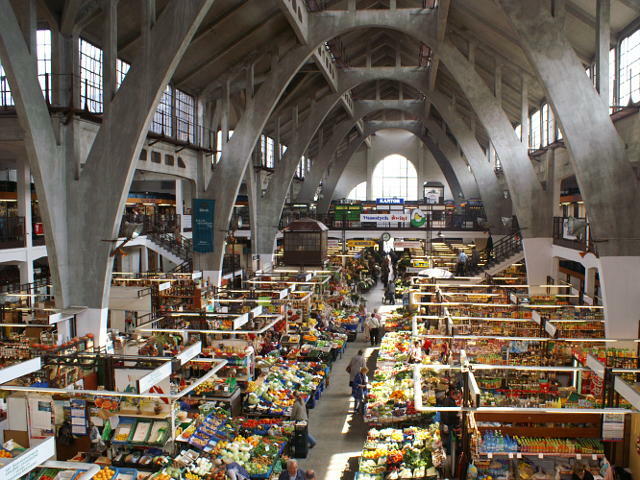 In the unique and historic interior you can find fresh fruit and vegetables, flowers, meat straight from the butcher. Apart from that there are many boutiques with clothes, cosmetics, handbags, fabrics, Chinese articles, unusual jewelry. You can also get your copy of keys done there as well as other handicrafts jobs. Market Hall is open from Monday till Friday starting from 8 am till 7 pm and Saturday starting from 9am till 3 pm. Hala Targowa is located on Piaskowa 15 Street, very close to Ostrów Tumski and city center. You can easily spot it and there is no need to take a tram or bus as it is easily reachable by foot. 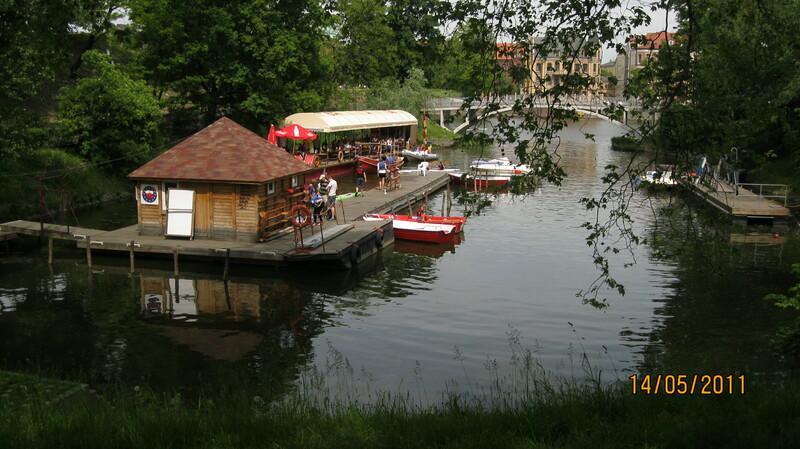 The large part of city of Wroclaw is situated on the islands. Many guides call it, the Venice of Eastern Europe. The islands are connected with the mainland with plenty of bridges and overpasses in the number of 117. The most famous and most visited one is Wyspa Słodowa, which is located in the heart of the city, just in front of the main building of University of Wroclaw alongside with Odra river. During the day is a great place to have a walk, or just sit on the bench and enjoy the view and the river. At night you can admire the beautiful scenery of highlighted buildings and park full of lamps. You can be sure you will find there many people throughout the entire night, sitting around with their friends, chatting, singing and playing guitar, drinking beer. With the last activity stay careful as drinking beer in Poland is prohibited in a public place and on the island even if its kind of oasis for students, you can get a fine. There are also many cultural events taking place on the islands such as concerts or students’ festivals. One of the most spectacular event is Noc Świętojańska (Midsummer’s Night – the night of 23/24 of June) with songs, music, dancing as well as huge bonfires all over – all these in the unique scenery in a heart of the city. Not everybody knows that there is an option to see Ostrów Tumski island along with the city from the top of the Cathedral Church. The left tower is open for entrance so it is a perfect spot to admire amazing view. It is better to make sure the weather is ok, to have a good visibility. When you enter the church from the main entrance go to the left and follow the signs. There is a lift which will take you up, so you will not get tired for sure. 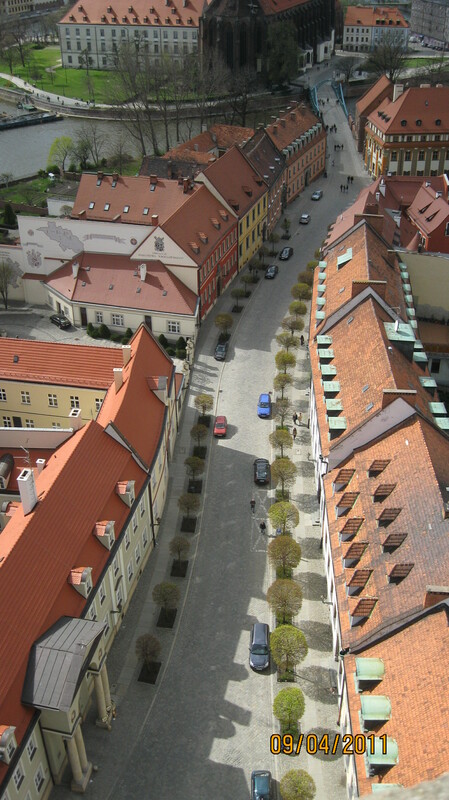 View is amazing: the streets of Ostrów Tumski, churches, river, parks, islands, monastery buildings and gardens. The cost to enter the tower is 5 zloty and it is opened entire year. The history was brutal for the Cathedral Church Towers. Fire in 1540 and 1759 burnt the towers done. Then in last days of World War II due to heavy bombing and siege by Red Army the Cathedral was almost entirely destroyed (about 70% of the construction). The towers have been completely rebuilt in 1991 along with the renovation of interior. 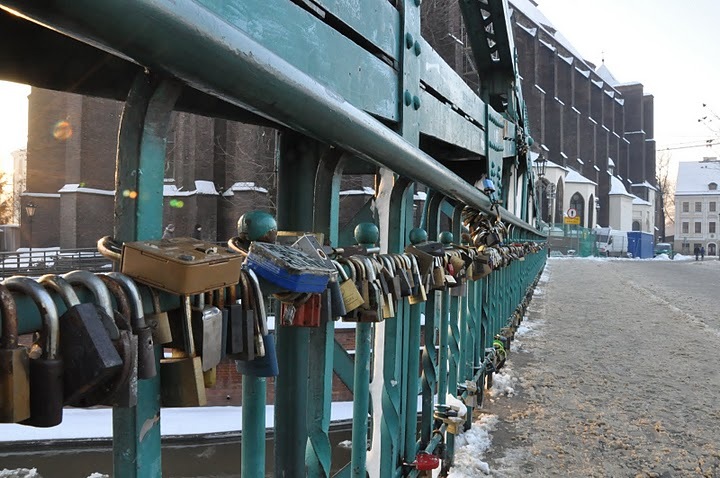 There is a place in the city of Wroclaw, where you can make your love strong and make it last forever. It is difficult to say when this activity started. It is a new tradition (2-3 years old) however for sure it added this place an extra charm. 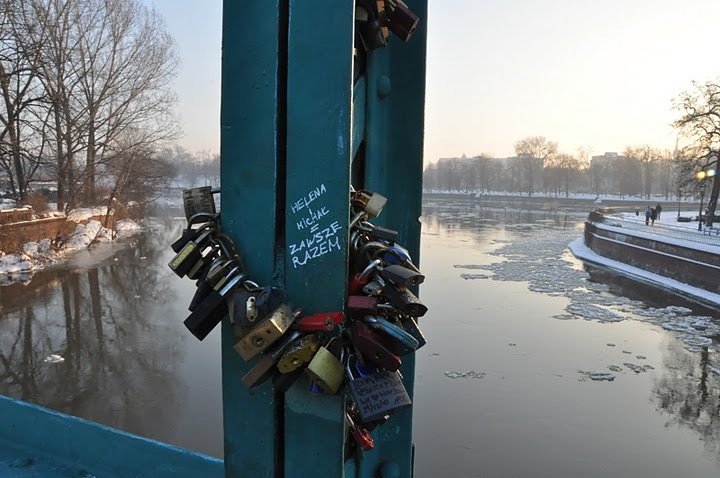 The lovers come here, lock padlocks to “preserve” their love and throw away the key to Odra River. We can find hundreds of padlocks on it, with the names, dates, short messages. It is a perfect place for a walk with your date or friends – advisable to do it in the evening, however it has its charm during the day as well. The Tumski Bridge connects the island of Ostrów Tumski with Piaskowa Island and it was built in 1889. It has more than 52 meters long and nearly 7 feet wide. You can find interesting the fact, that on the bridge Tumski there are still antique gas lamps which are manually operated and efficient in lighting the area which gives the place a special atmosphere. 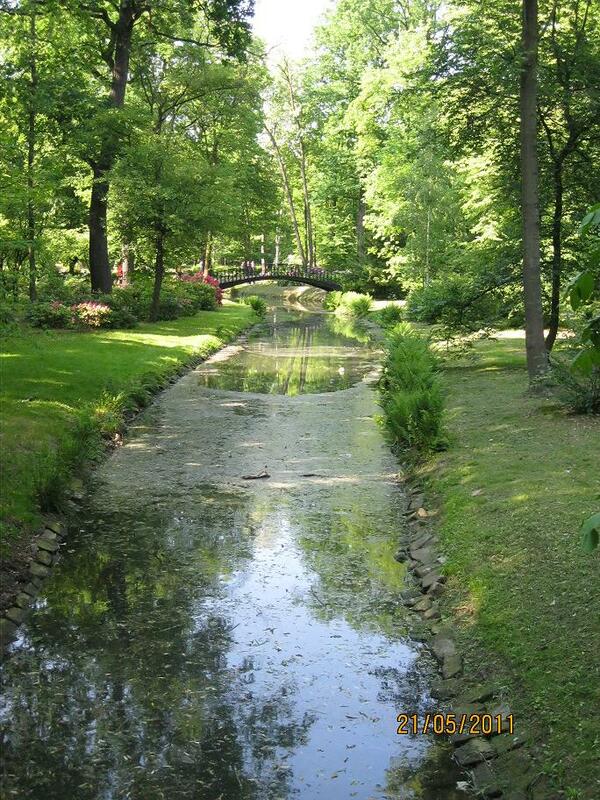 A small, but very charming park is located within three streets: Nowowiejska, Prusa and Edith Stein. This place for sure will satisfy all needs of park lovers as well as those who wish to walk a little bit among the trees and green grass and run away from the city traffic. The park has been constructed in the period of 1902 -1907 . Within the park you can find a small pond with a fountain and the small island, which is a remnant of the branch of the River Odra. In the north-western part, there is a small hill located from which you can have a nice view for the entire area. 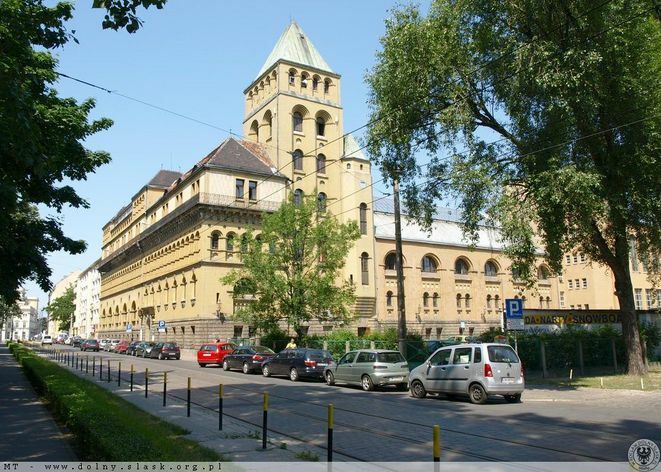 Besides that just in front, there is the Faculty of Architecture, University of Technology and another worth visiting St. Archangel Michale Church. 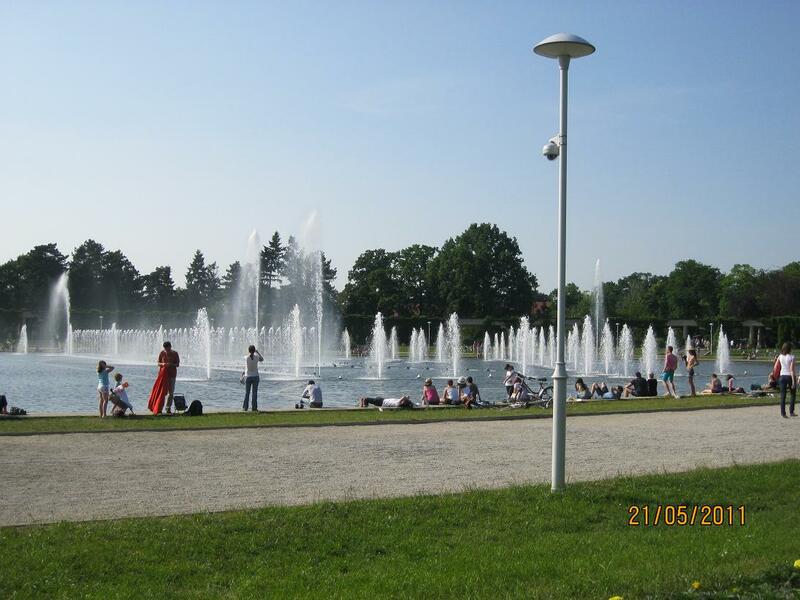 The park is located in the triangle of the three of the following streets: Nowowiejska, Prusa and Edith Stein. It is easy reachable by trams or buses from each of its sides. 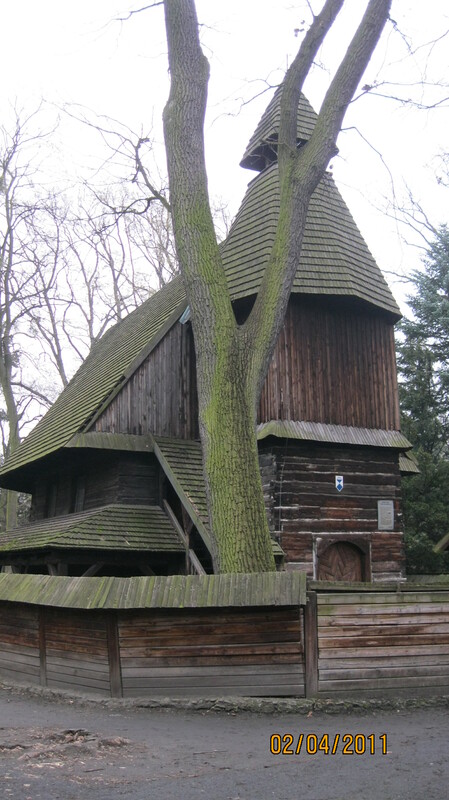 Walking around Szczytnicki Park you will be surprised by finding a small beautiful wooden church just in the middle, behind Pergola area and nearby to Japanese Garden. 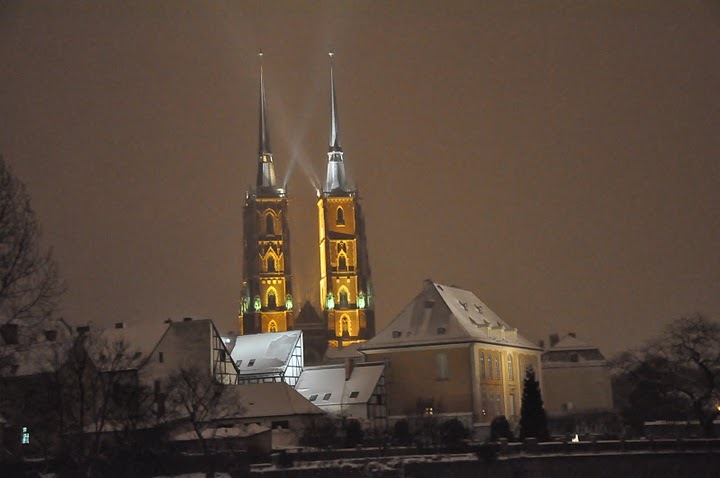 It is St. John of Nepomuk church, built at the turn of the sixteenth and seventeenth centuries. Designer and artist who created it is unknown. The church was moved to Szczytnicki Park in 1913 from Kędzierzyn. During the installation in new place the walls were exchanged and arcades reconstructed. Again it was renovated in 1966. It is definitely a nice place to see while having a walk in the park. If you are lucky, you will fine the door opened so you can check it from inside. Most of the times is no option of seeing the interior but still it is worth visiting it and look at it from outside. 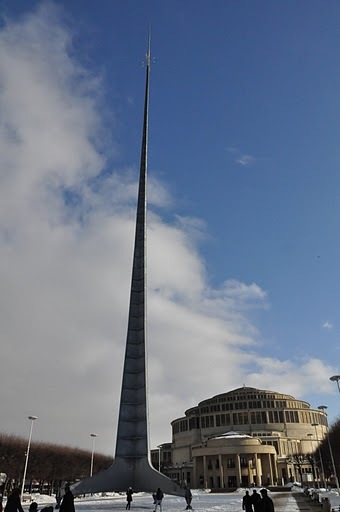 Iglica (means “spire” or “needle”) is a monument, a needle-like located in Wroclaw, just in front of Centennial Hall. 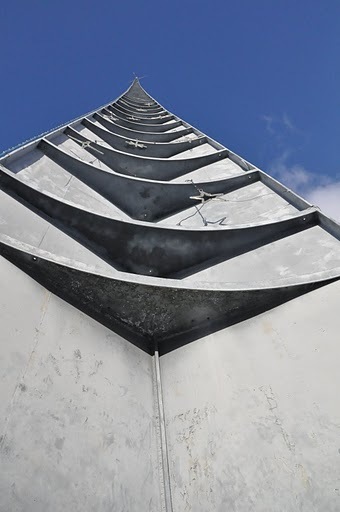 Initially it was 106 meters tall, now, after renovation the top 10 meters were removed. It was built in 1948, by Polish Communists for an exhibition to celebrate receiving the control over the “Regained Territories” after World War II. The location was chosen by purpose, to take away the attention from the Centennial Hall built by Germans. Originally Iglica was topped by shield of mirrors rotating and giving it a look of umbrella. At night it was giving amazing light effects. Just before the official inauguration the construction was destroyed by lightnings. The remnants were removed after few months by two climbing enthusiasts. They used still unknown in Poland these days sub sequences technique using ropes and loops, now widely used to overcome the vertical walls.The climbing took them more than 24h plus 6h of dismantling. Iglica was renovated in the past in horizontal position, in 1964 and 1979. There were few interesting events happening During the martial law, a man climbed up and hanged the banner of banned union Solidarity (NSZZ Solidarność). In 2007, Iglica turned into Europe’s highest Christmas tree. At the opening of the Beijing Olympic Games, a group of members from association “Young Wroclaw”hanged the Tibetan flag, in solidarity with people from Tibet persecuted by Chinese authorities. You can find the second, much smaller Iglica set in the central of Plac Solny (Salt Square), just next to market square. It was placed there in 1996. 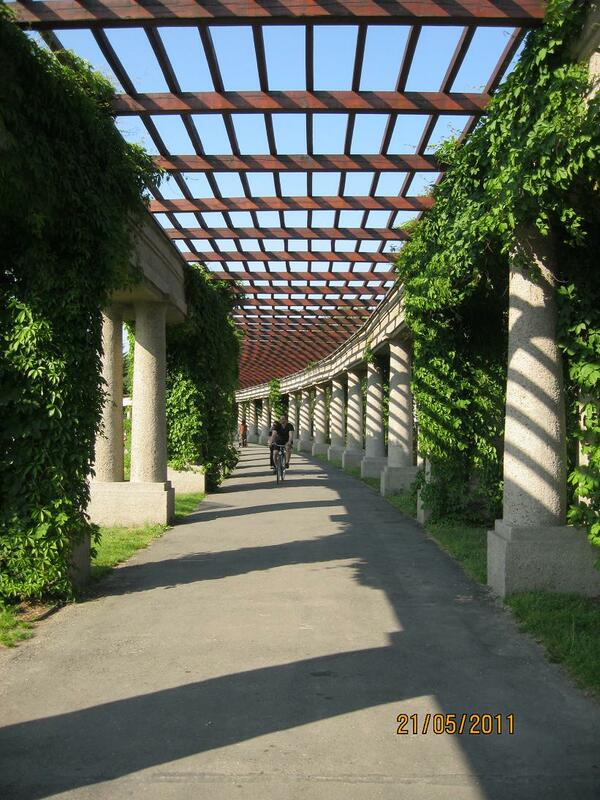 Pergola in Wroclaw is built in the shape of half an ellipse. It was constructed in the early twentieth century around the pound with the fountain in the similar shape. It is located at the north-east side of Centennial Hall in east part of the city, in front of exhibition pavilion. The pound surrounded by Pergola is another interesting thing! During the summer, every single day you can watch amazing shows of the multi-media Fountain eqquipped with 300 jets, using lights and sound effects. For a change during the winter time, you can equip yourself in skates and go there for ice-skating as it is turned into ice rink. It is a perfect place for Sunday walk with your family and friends. You can sit in the nearby cafeteria with the view on Pergola pond. Have a beer and grilled sausage in one of the bar located next to it. 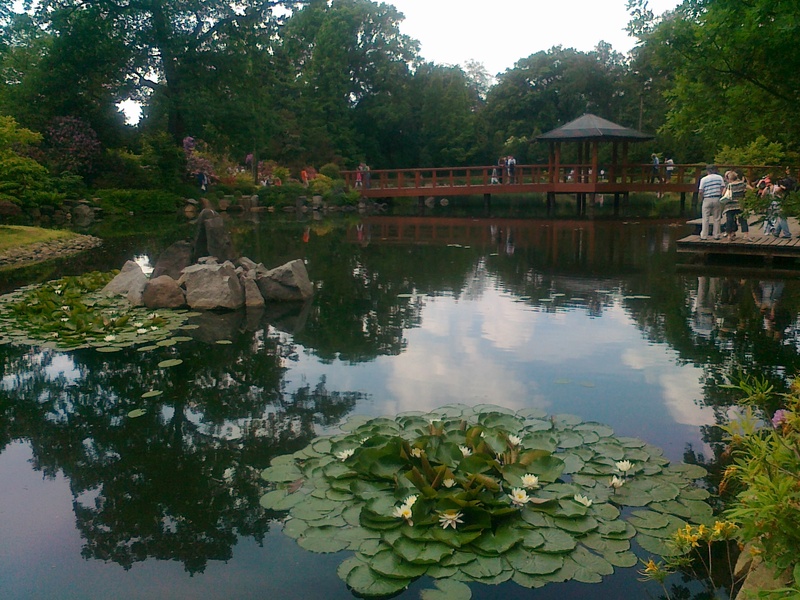 Beside that in the vicinity of Pergola there is Japanese Garden along with the Szczytnicki Park. As it is pretty out of the city, take a bus or tram (145, 146, 0, 1, 2, 10) and get out on the stop HALA STULECIA. Pergola is located just behind it. You can also take a bicycle and have a nice ride within the park. 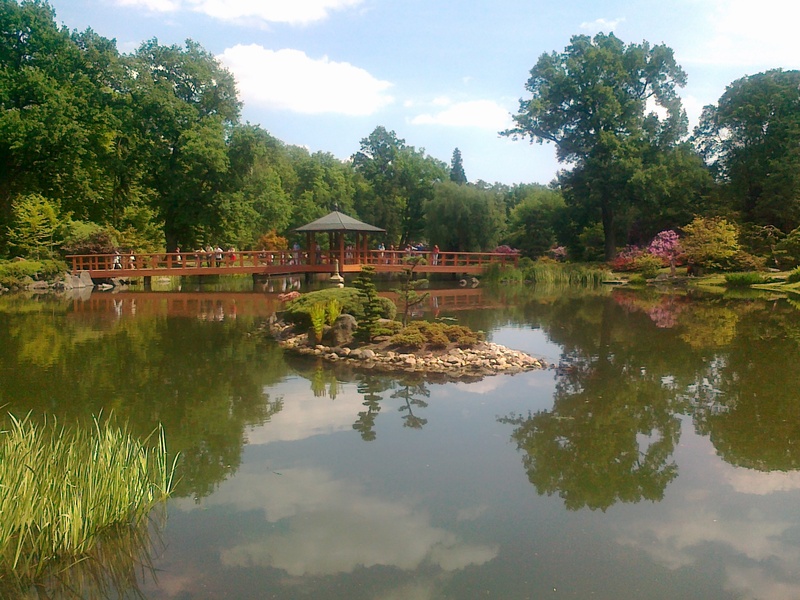 Japanese Garden is located in the Szczytnicki Park, near Centennial Hall (Hala Ludowa). It is one of the few traces of the World Exhibition of 1913. 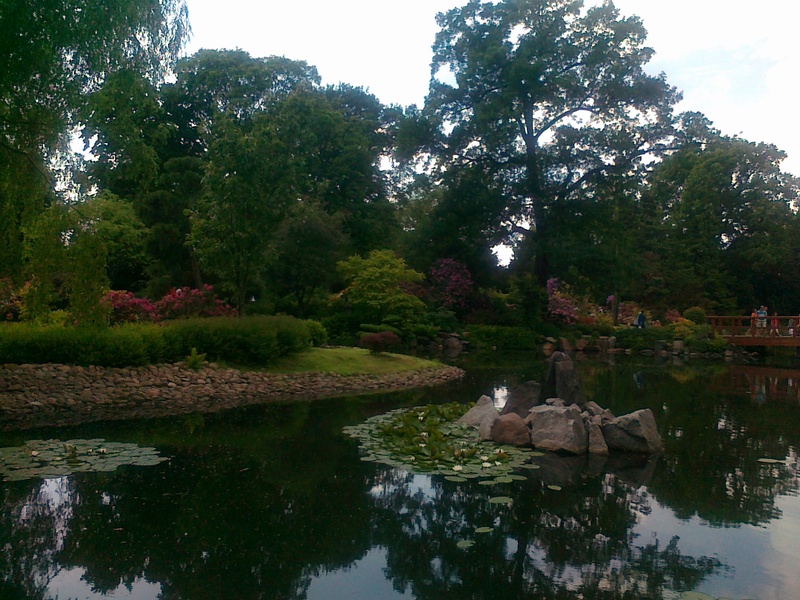 Japanese experts, present there since 1996 made sure that all details correspond to the original Japanese garden art. It became an unique place in this part of the world, demonstrating a real piece of Japanese culture. The best time to visit is spring or autumn, due to spectacular view of colors of plants and flowers. Garden is opened daily from 1st of April till 31st of October from 9.00 till 19.00. There is a small entry charge. 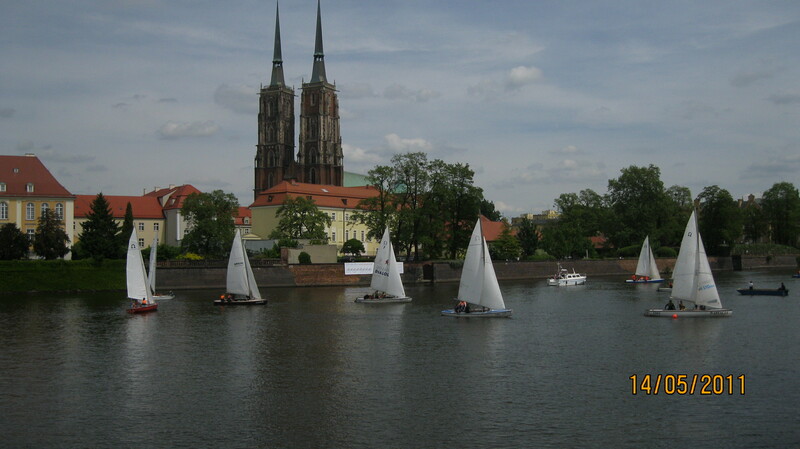 Wroclaw is known as city located on the water with many islands and canals. If you wish to discover the city from different perspective take a boat ride and see what you haven’t seen till now. It is also a good idea to spend your birthday or anniversary in an unconventional way as many companies offered their boats for parties and gatherings with music and catering. 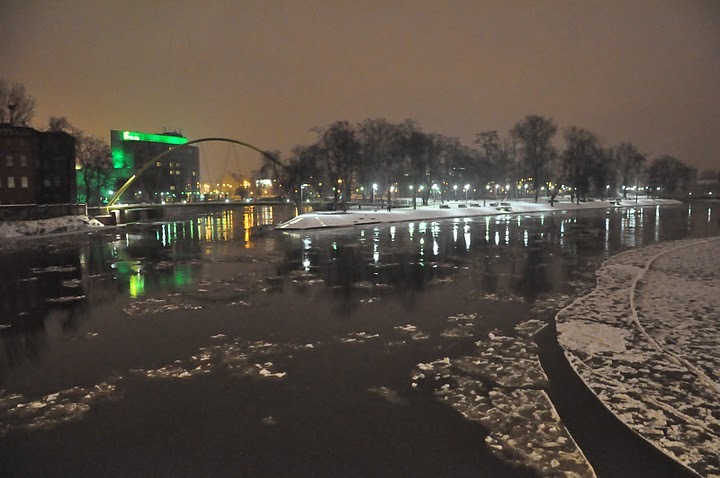 So jump on the boat and fall in love with Wroclaw again!!! Located near Bulwar Włostowica on Wyspa Piaskowa near Ostrów Tumski. The walking promenade was built in 1998 after the flood in 1997. You can find there a plaque stating the date of the flood of the century as well as the level of the water. 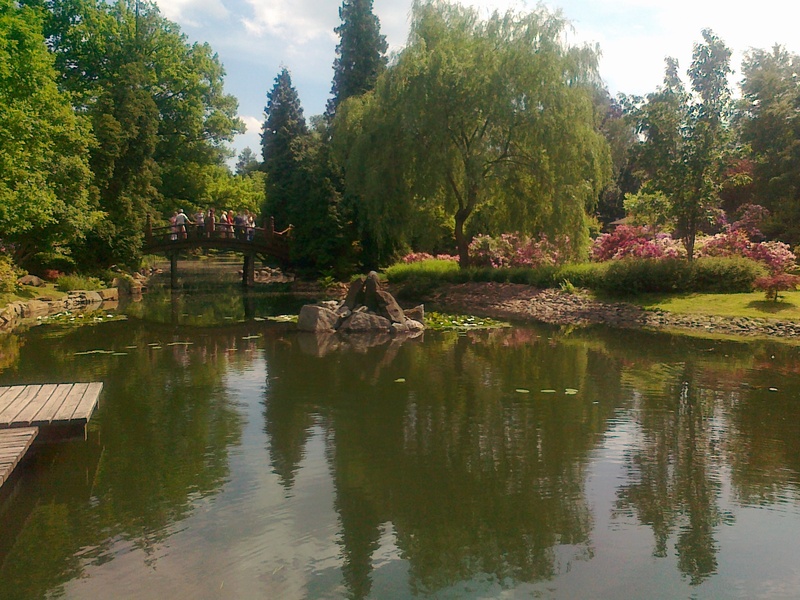 It is situated on Wróblewski Street in the neighborhood of the Zoological Garden, Zwierzyniecki Bridge. The marina is located on the back of the Zoo Garden, near the terrarium building at the second entrance to the Zoo, Japanese Gate. It is located on Bulwar X. Dunikowskiego near Market Hall (pl. Hala Targowa), 200 meters away from Racławice Panoram (pl. Panorama Racławicka). In use for passengers since 1995. 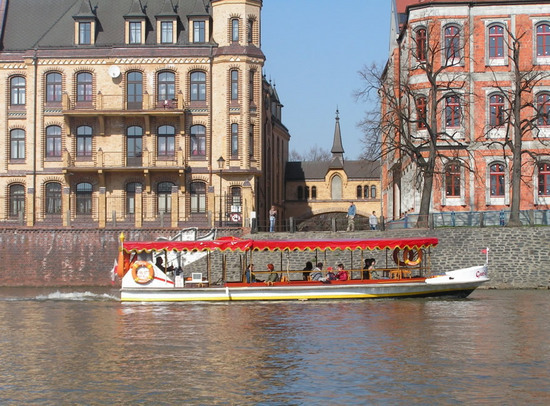 Finally the citizens and tourists coming to Wroclaw can enjoy the city tour from the water. As a promotion of active recreation and unconventional way of sightseeing there is a possibility to rent canoes or rowing boats, as well as motorboats and explore the city and its channels on Odra River. 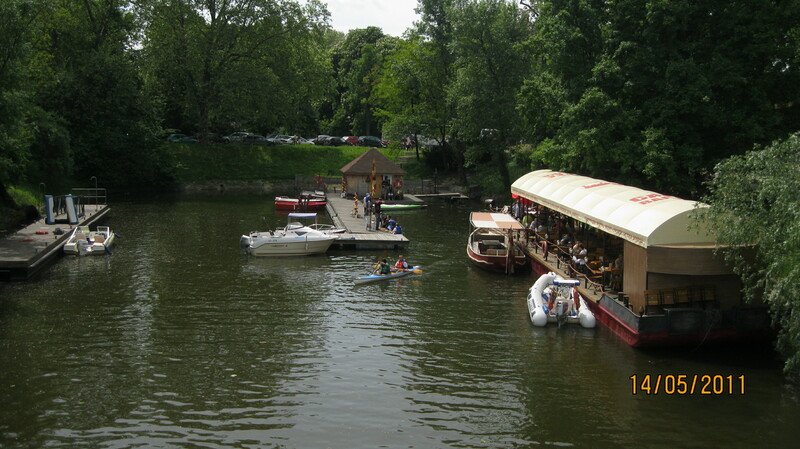 The rental point at Purkyniego street is the first point of the Trail Gondola initiated by the city, to promote Wroclaw, as the city on water, “Venice of the Eastern Europe”. How you can find Gondola Bay? Gondola Bay is located on Purkyniego Street, between the National Museum (pl. Muzeum Narodowe) and Polish Hill (pl. Wzgórze Polskie). Bazaars and markets are places where you can find many unique items. It is a perfect for all those tired of malls. While in Wroclaw you must visit this one of those magical places full of old stuff, antiquities as well as fresh fruits. There are few which are open throughout the week. Some of them only once in a week (Saturday, Sunday)or even once in a month. The Olds Market near “Młyn Sułkowice” is open every Sunday. It is advisable to go there in the morning to avoid the crowd and be sure that you get what you search for, as the choice in the morning is bigger. You can find there used and new bicycles, different sport equipment, old and interesting furniture, clothes, organic food straight from the farmers, electronic equipment, basically everything you can imagine . The market is pretty huge and there are few hundreds stalls to check so be ready to spend there at least few hours to make sure you find what you need. It is the best place for those of you, who search for a bicycle. You can find there different types, for women, for men, for kids, mountain bikes, city ones, racing ones…so all needs will be satisfied. You can get a used bike in a very good condition for like 200 zl or new one which will be more expensive. Also be prepare for hard bargaining if you want to get a good deal. Never accept the first price offered by the seller. And go to the next one to see what kind of deal can you get there as the thing of your interest can be available in few different places. It actually can be entertaining and you can have lots of fun while doing it. 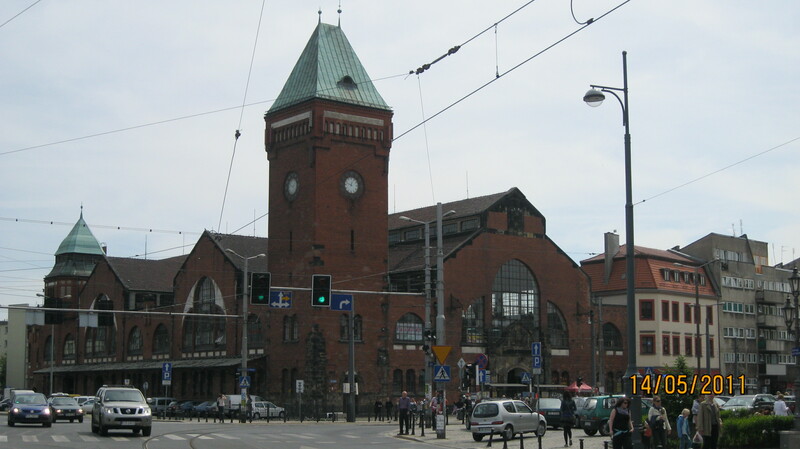 The “Młyn Sułkowice” is located on Poprzeczna Street, just next to CH Korona Mall. You will quickly spot the old building with the huge sign on it stating the name. From the city center there is a bus D going there. However the bus stop of the bus D is located pretty far away and you have to walk for 10 minutes. It is more convenient to reach Plac Grunwaldzki which is connected with the entire city, and then take bus 131 or 141 and get out on Brücknera stop, and the market will be just in front of it.